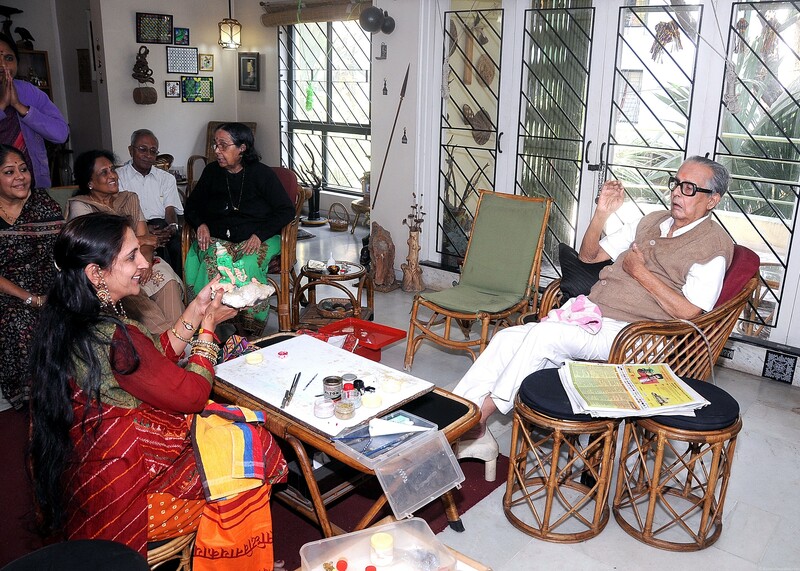 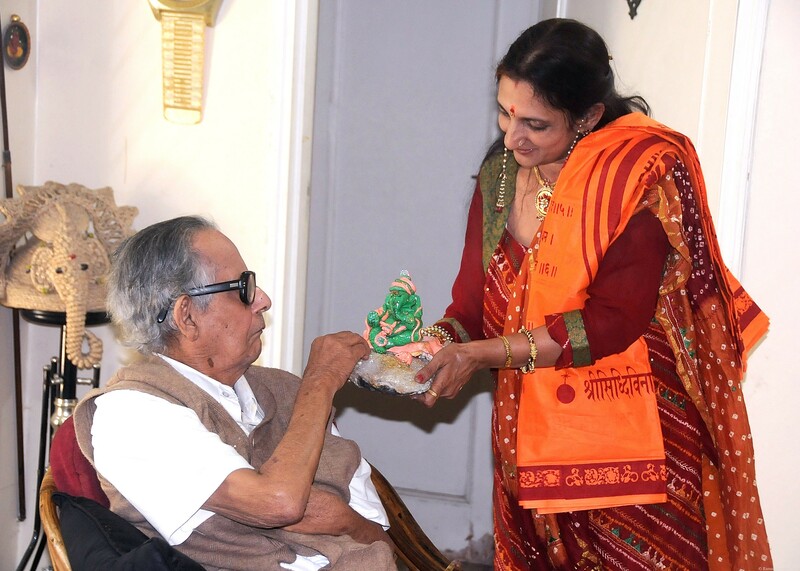 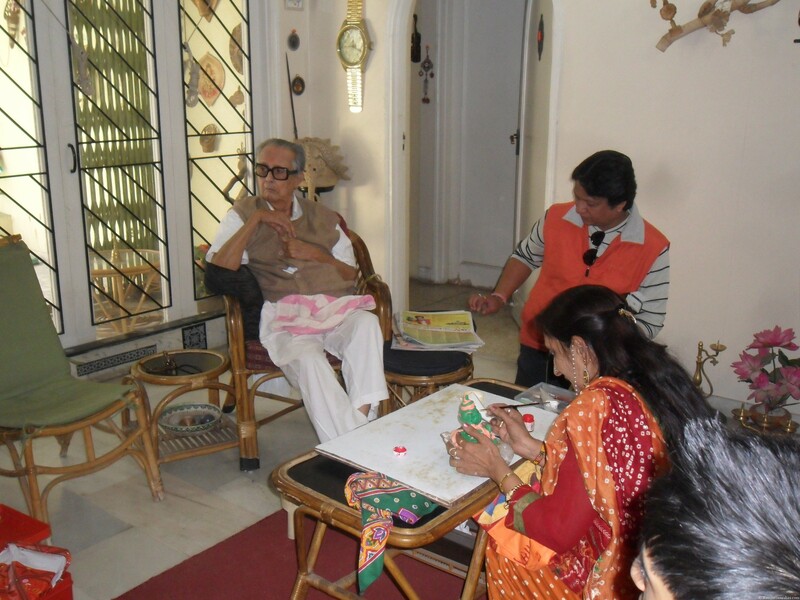 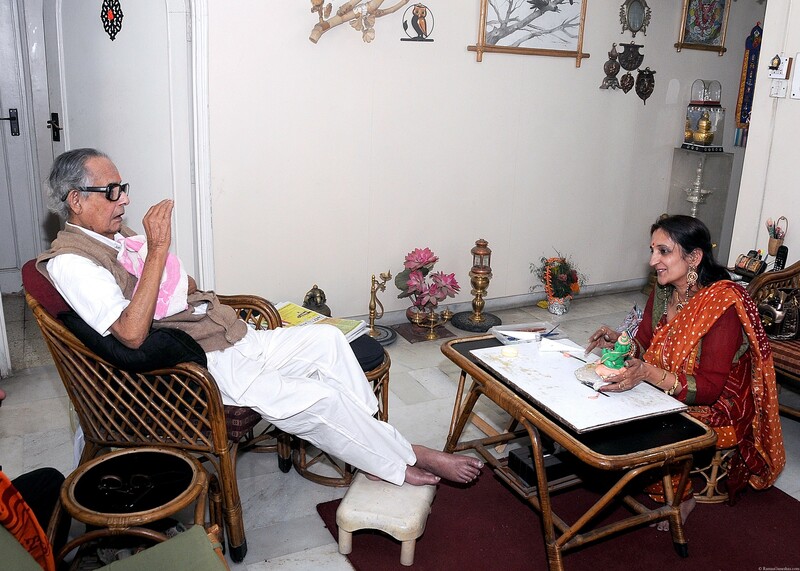 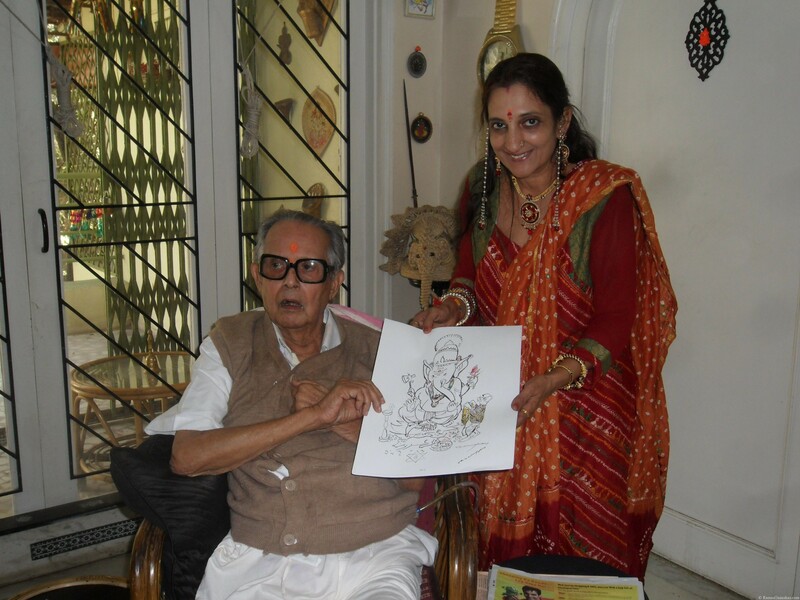 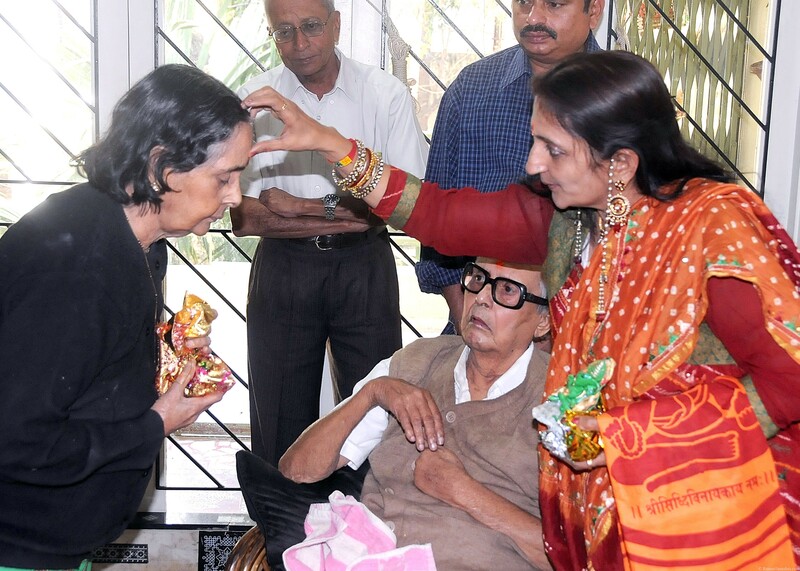 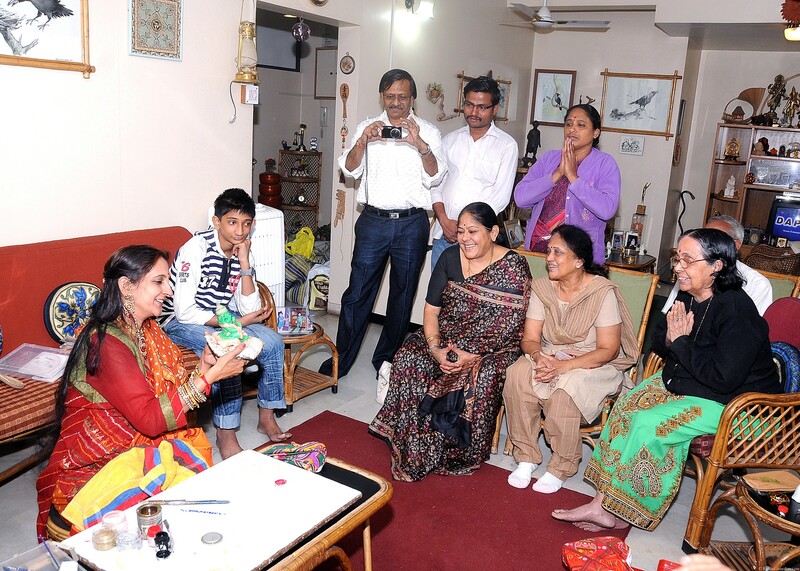 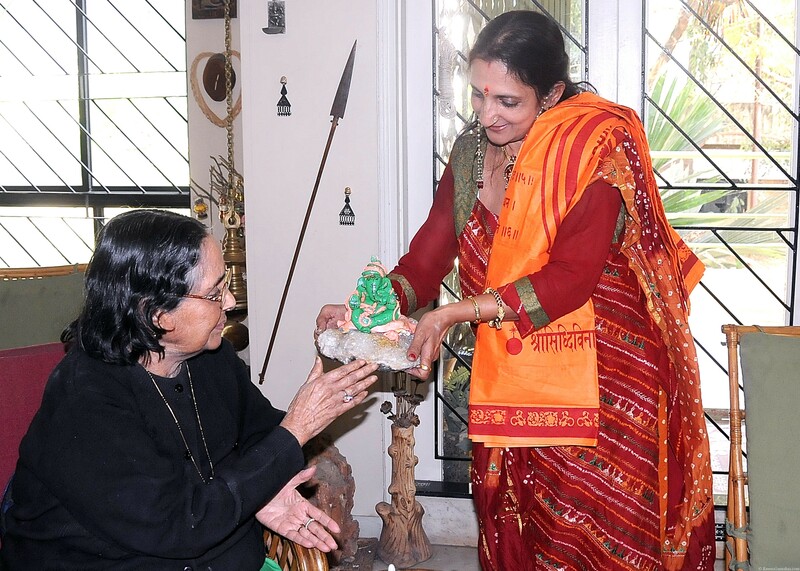 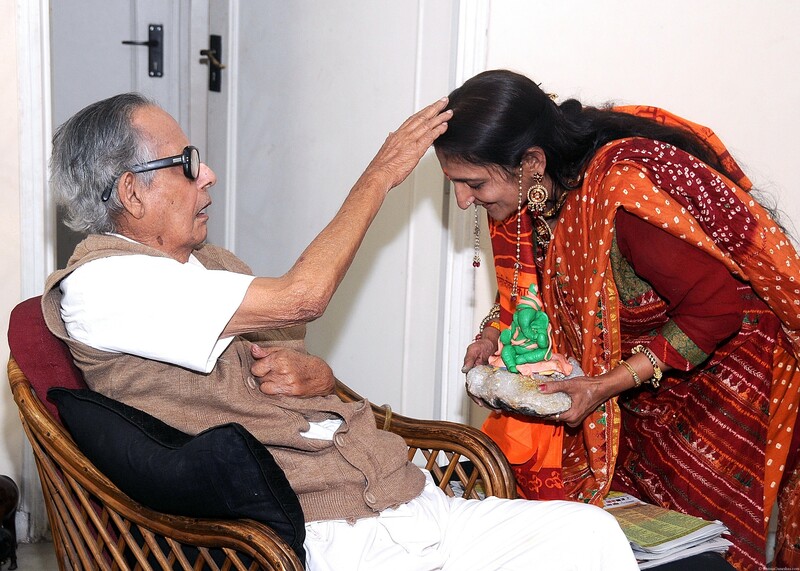 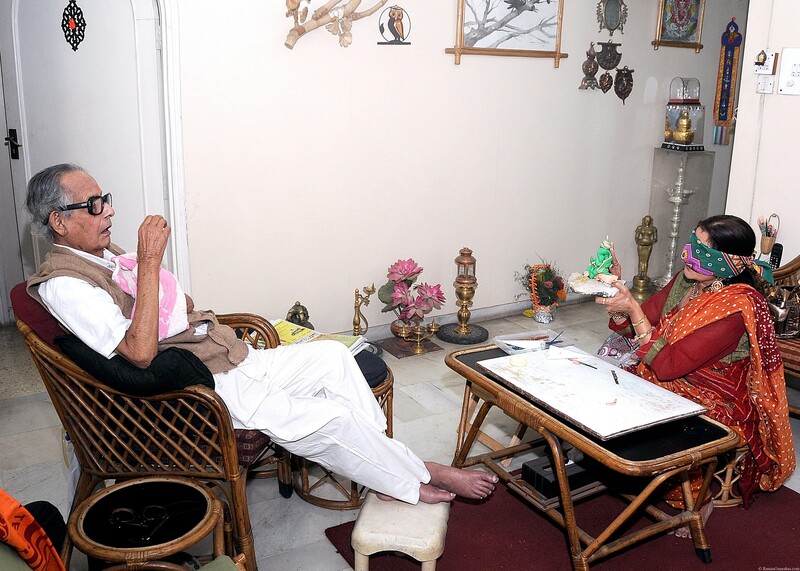 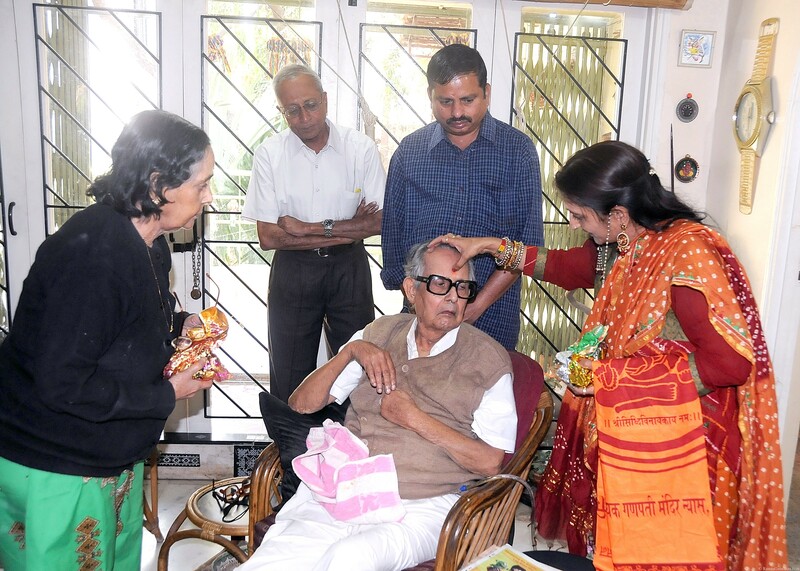 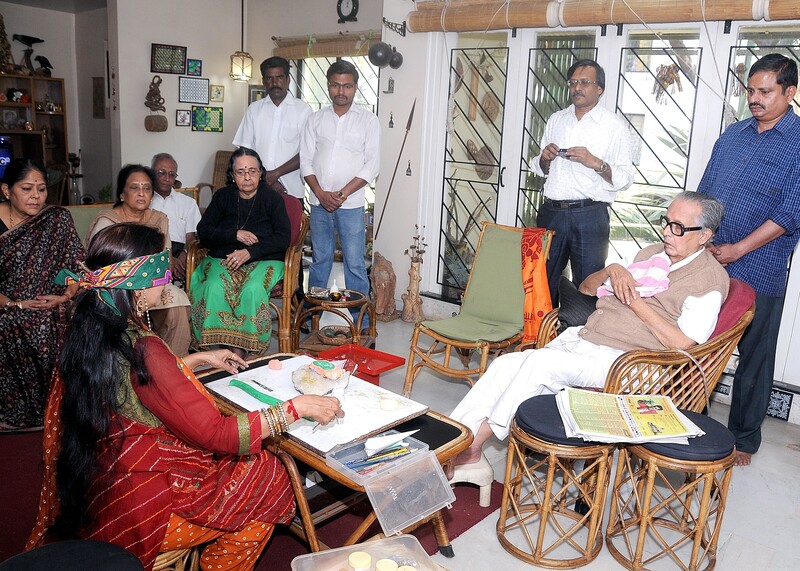 Rama Shah was very happy to be at very famous cartoonist Shri R. K. Kaxman’s (age: 91 years) home at Pune on 20th January, 2012. 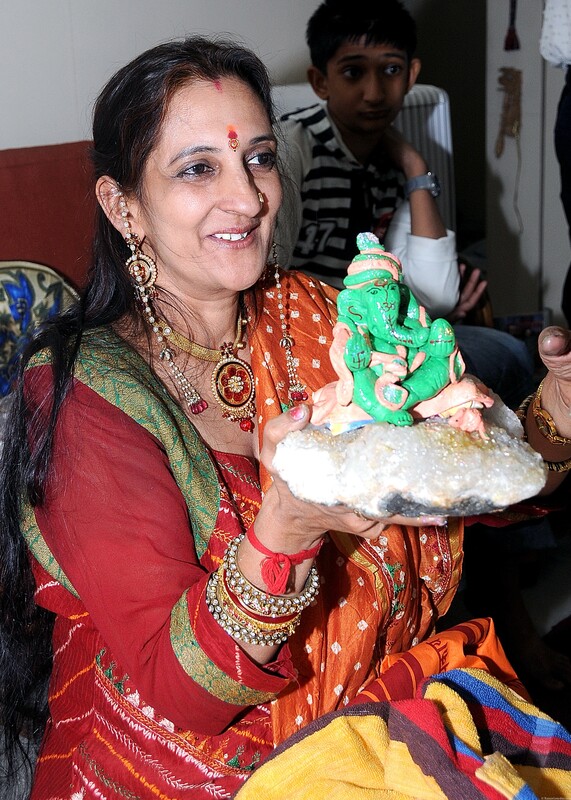 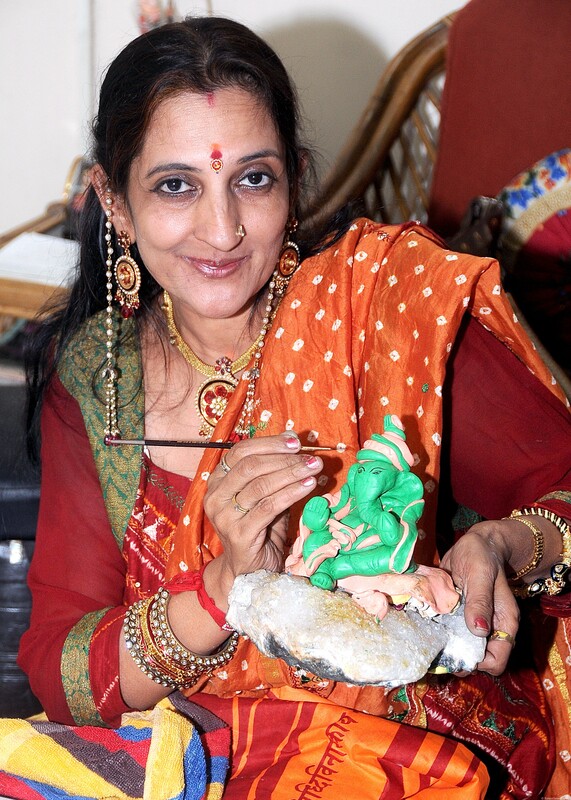 She made a Ganesha Idol blind folded in front of him. 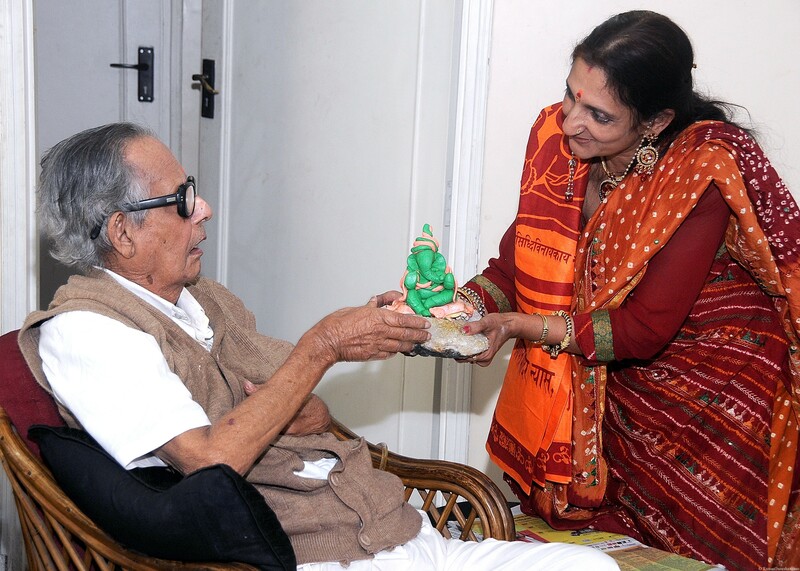 He was delighted to see the idol and blessed Rama. 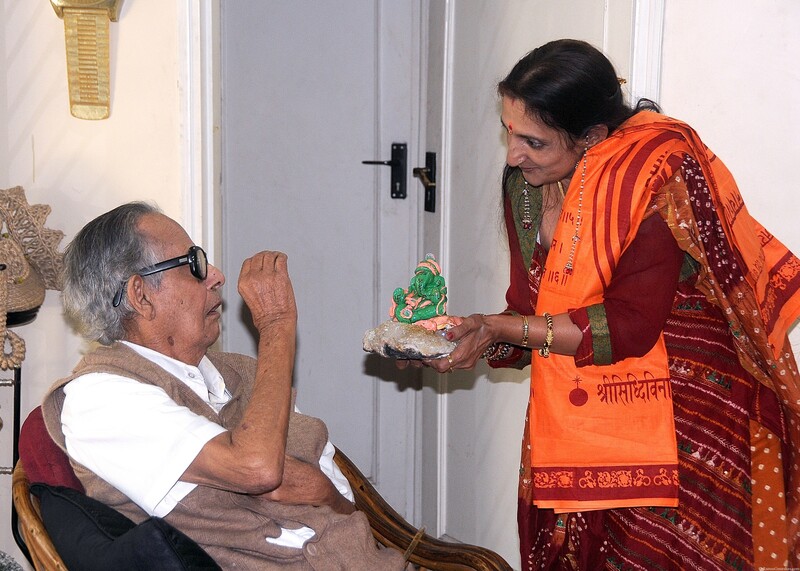 He also gifted Rama a Ganesha painting hand made by him. 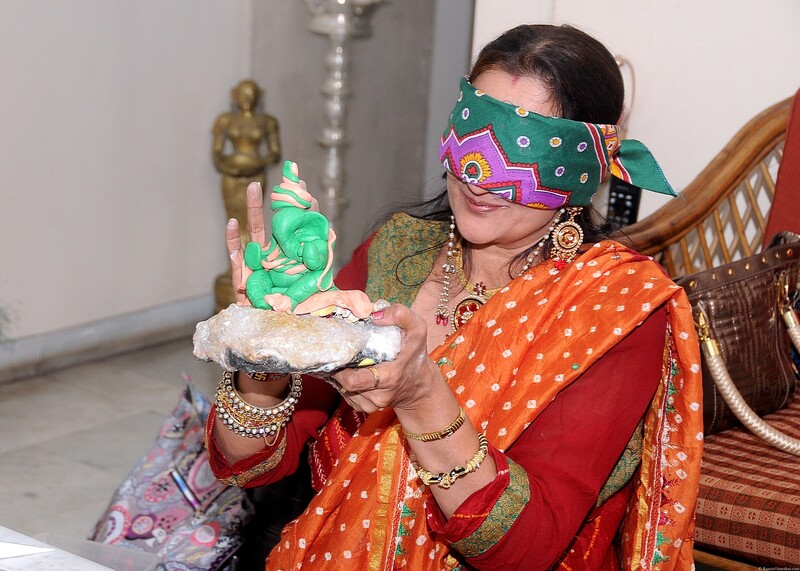 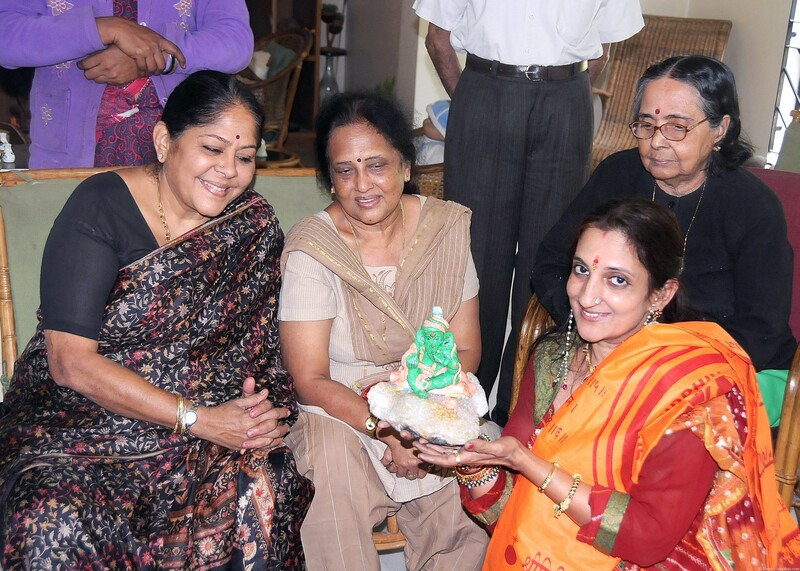 She later demonstrated her art of making a Ganesha blind folded at Mahalaxmi Ladies Club, which was started by Mrs. Kamla Laxman. 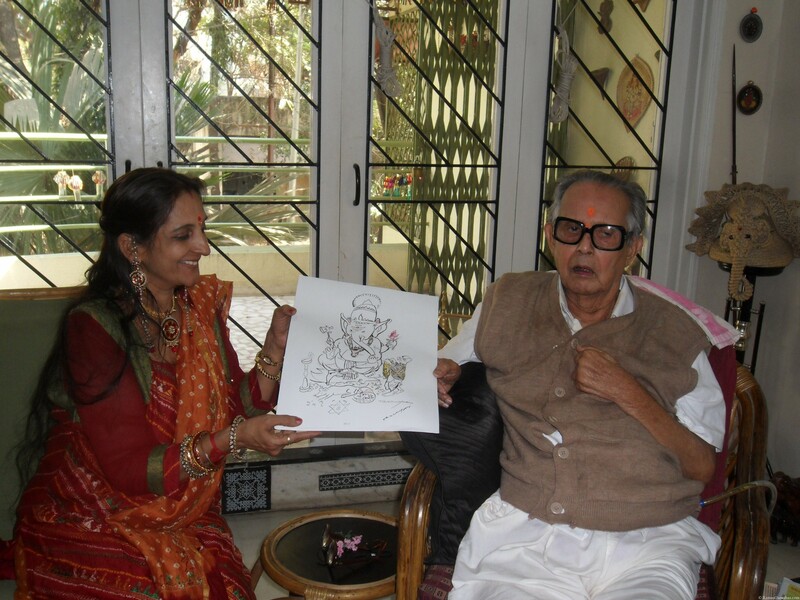 Tagged Blind Folded, Ganesha, Idol, R K.Laxman, Rama.